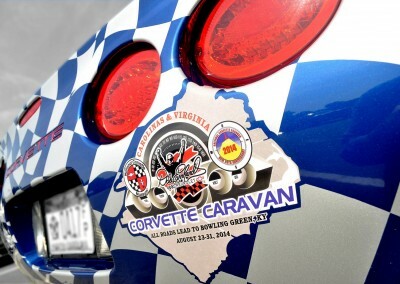 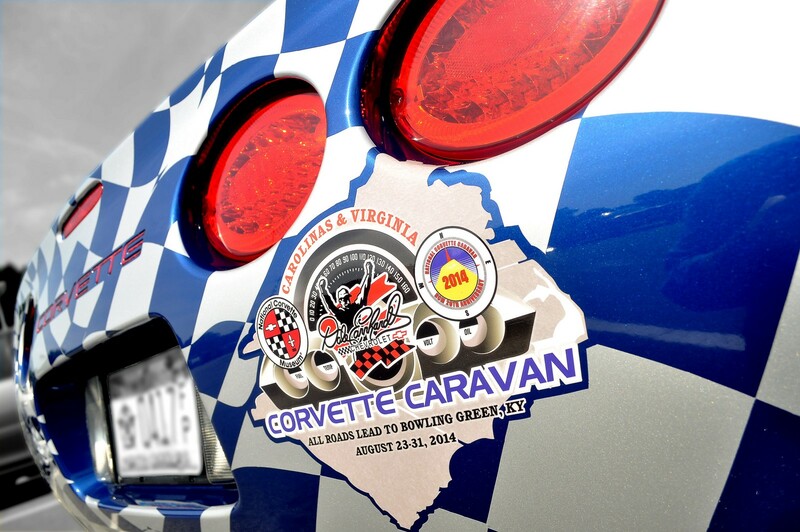 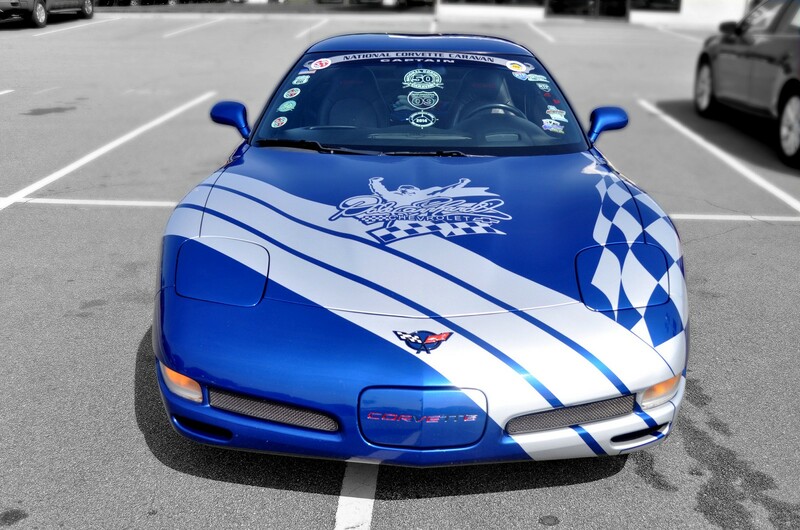 In honor of our sponsorship of the 2014 Corvette Caravan we have created a Dale Earnhardt pace car for the regional captain, Frank Sancineto. 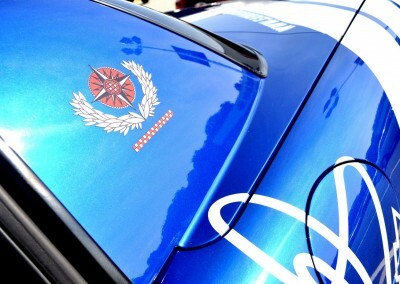 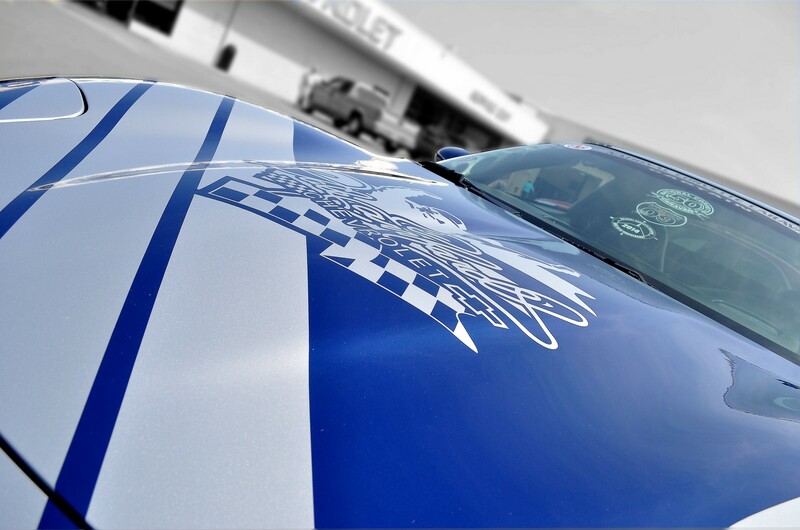 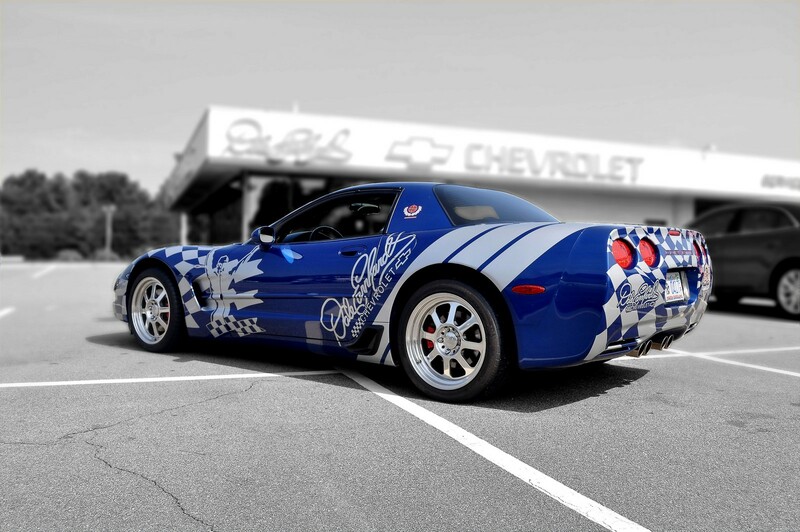 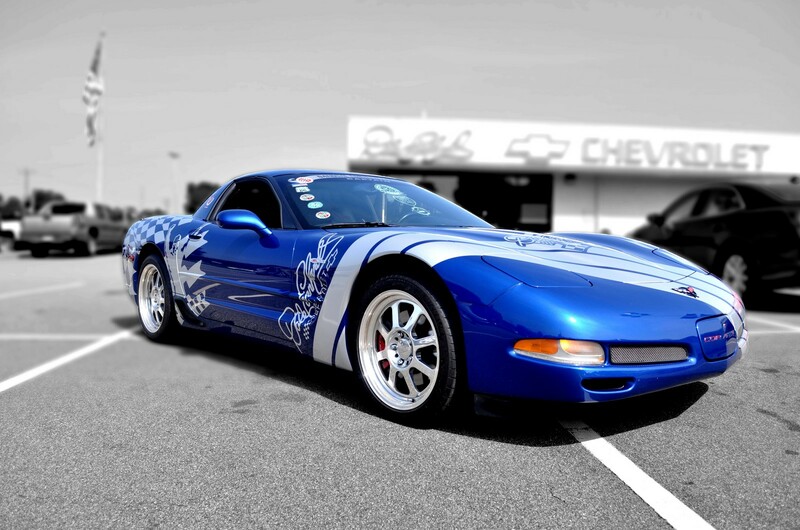 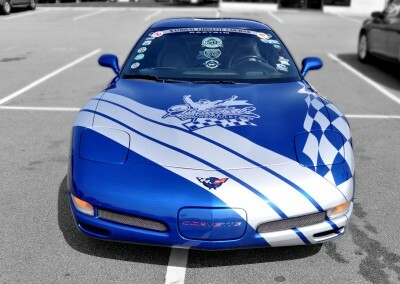 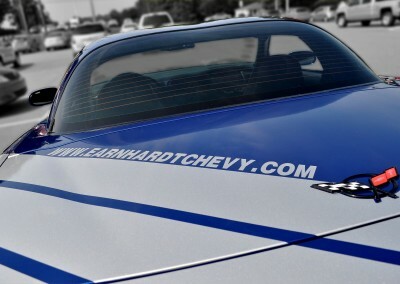 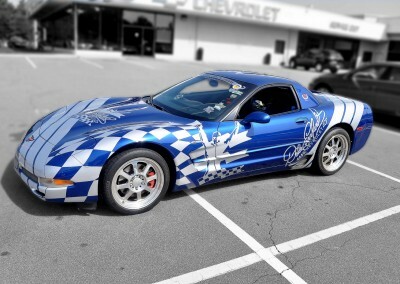 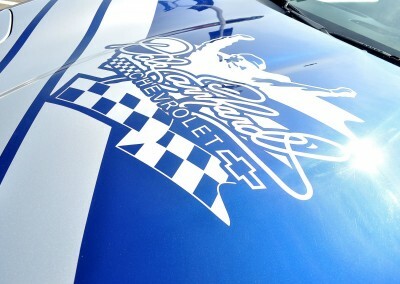 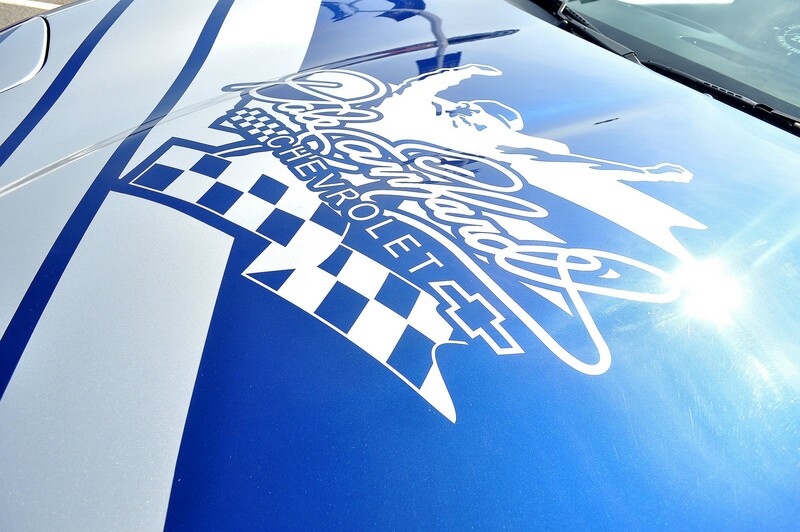 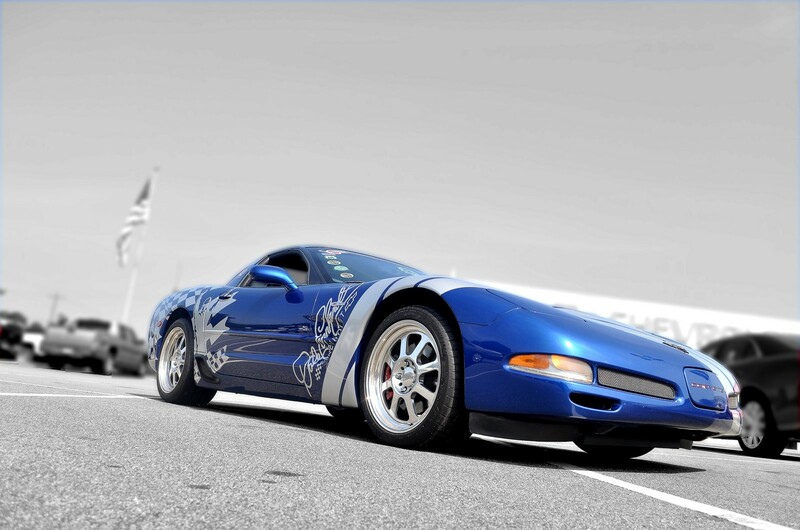 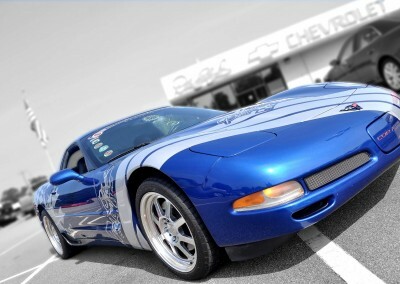 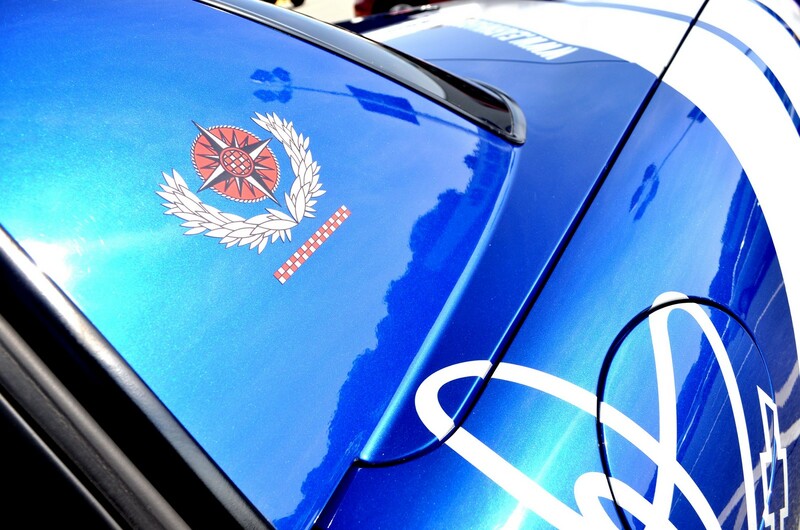 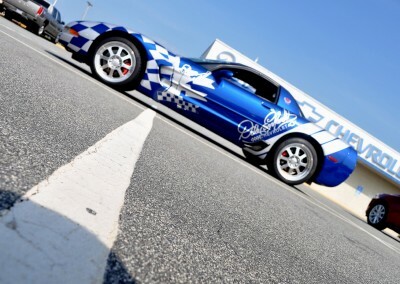 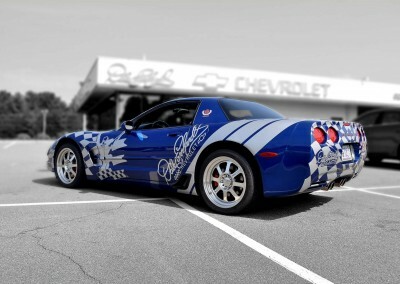 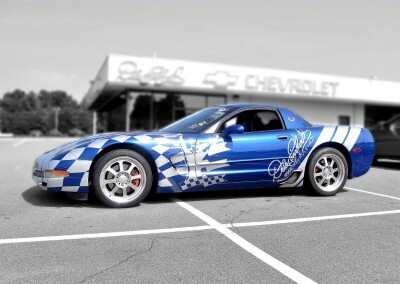 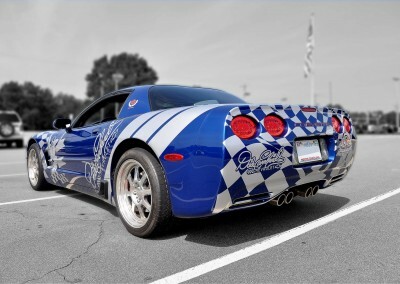 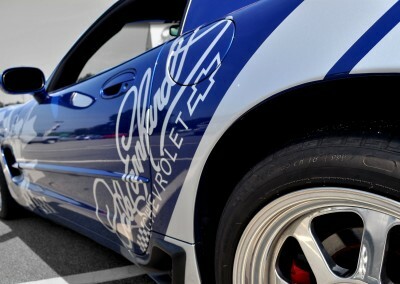 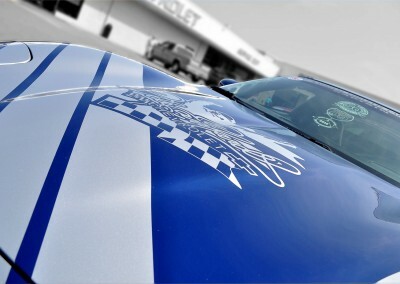 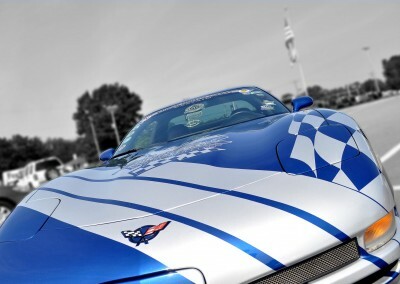 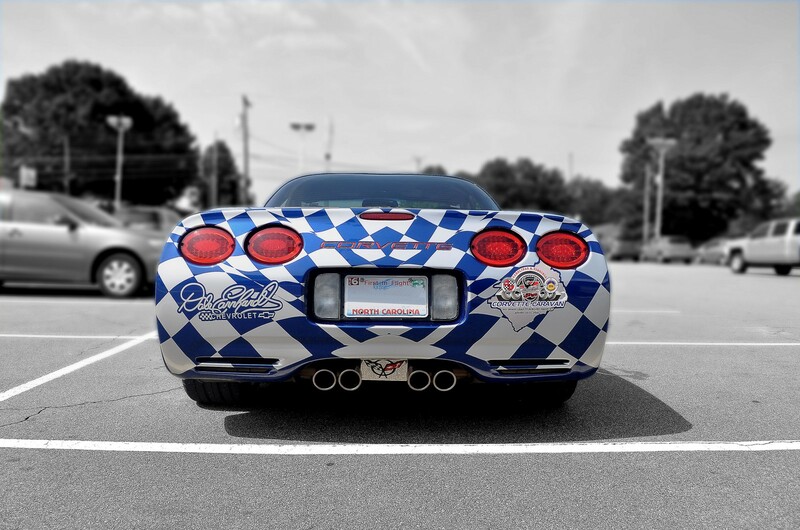 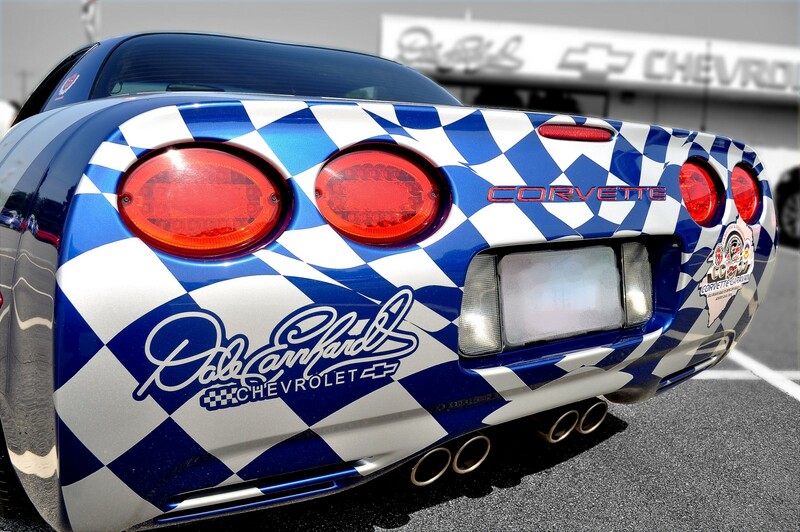 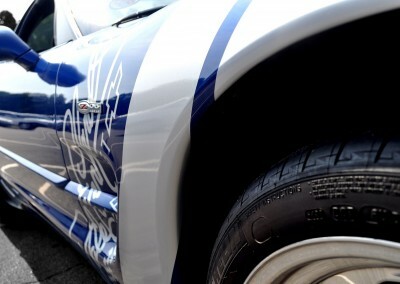 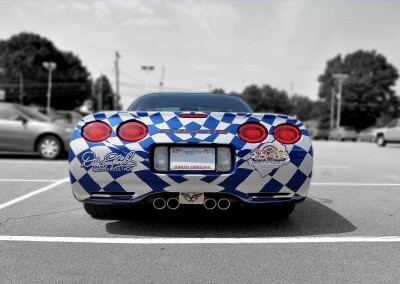 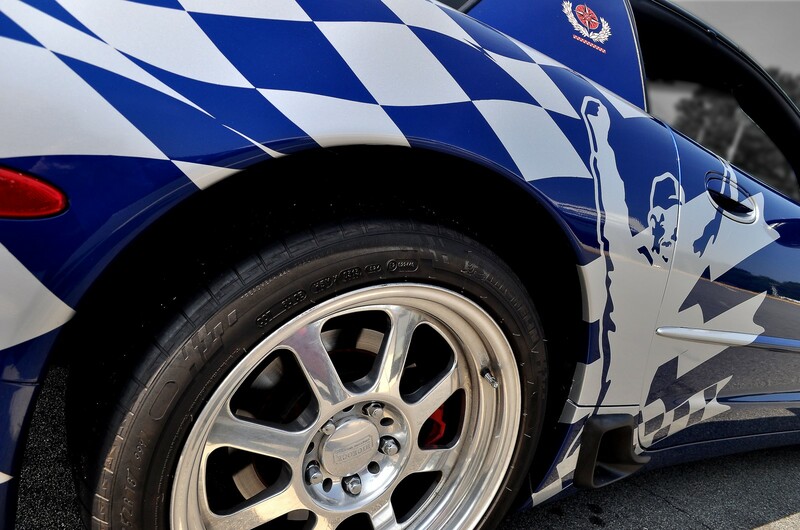 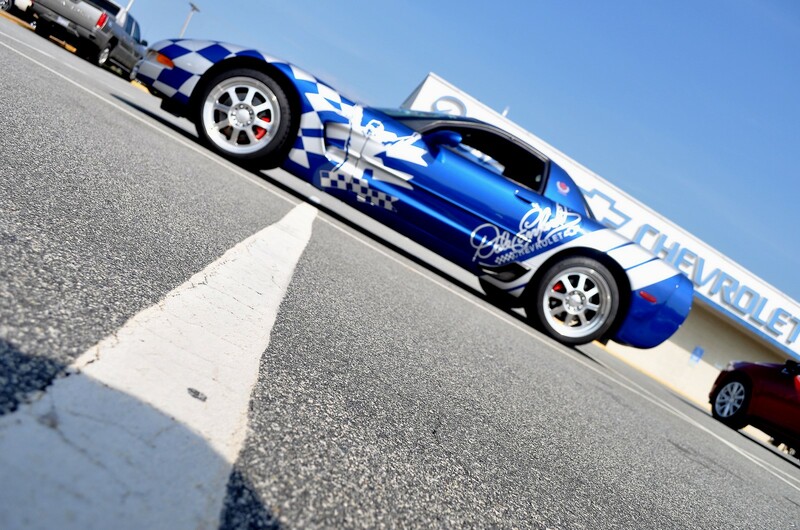 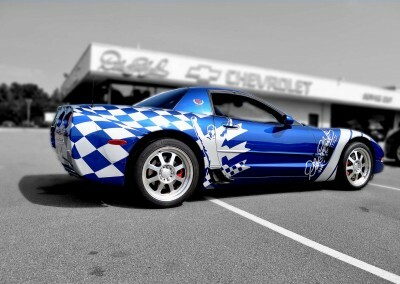 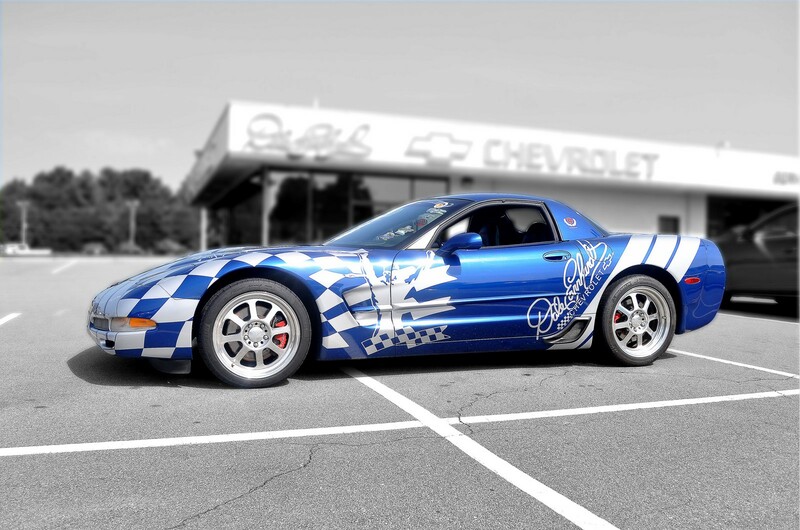 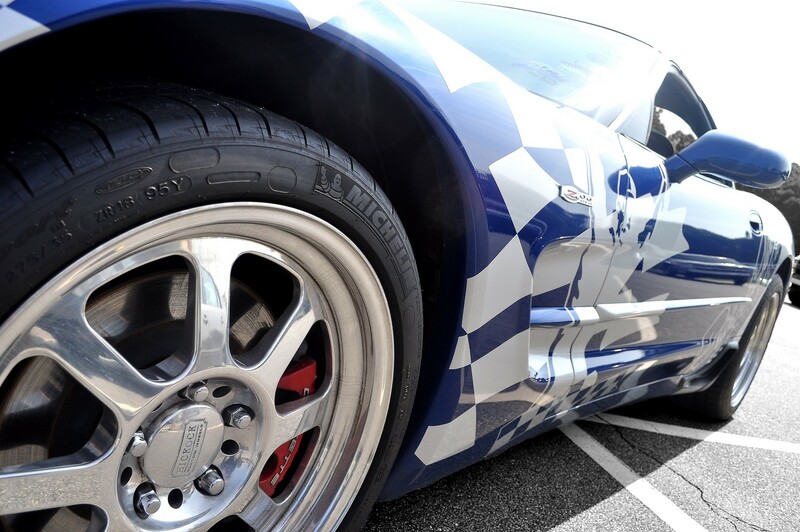 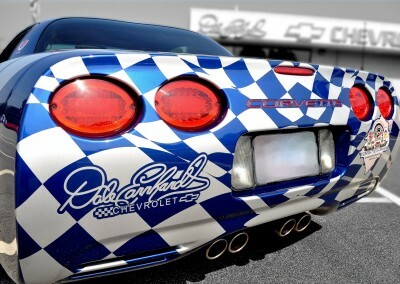 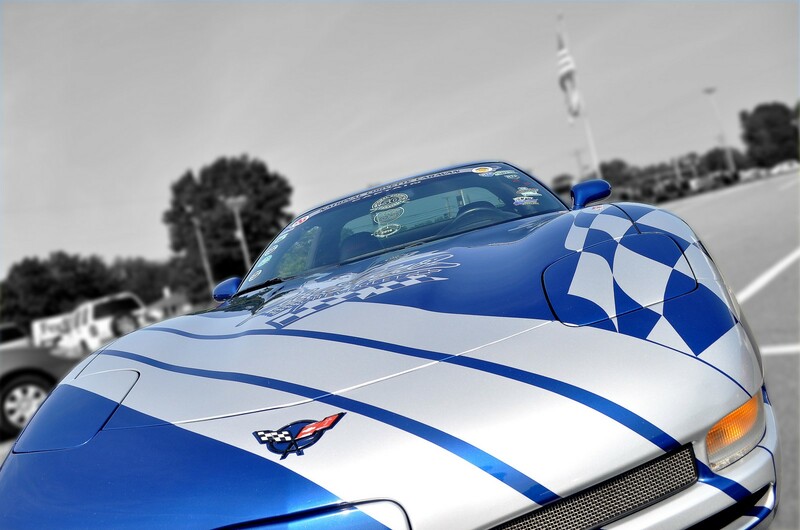 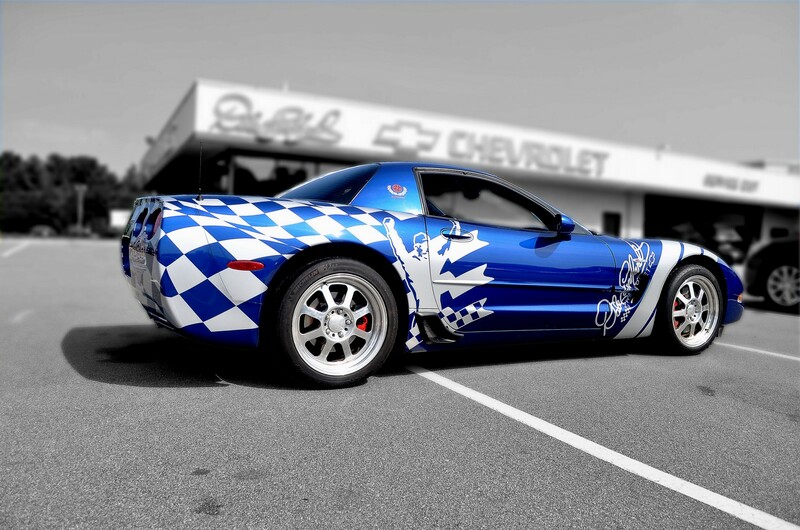 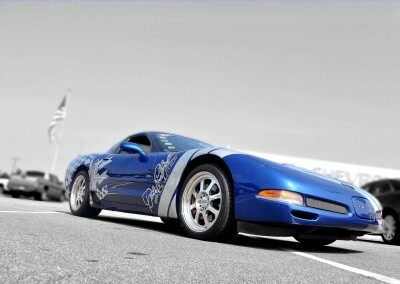 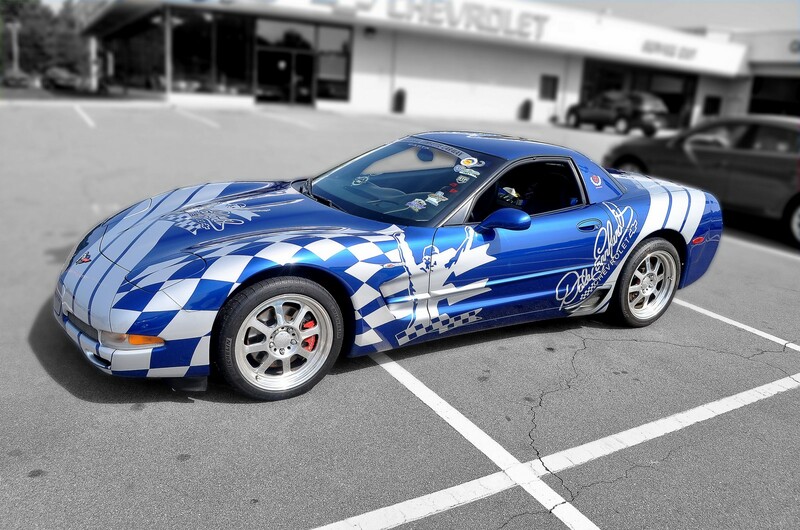 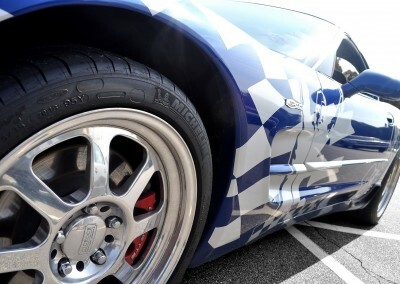 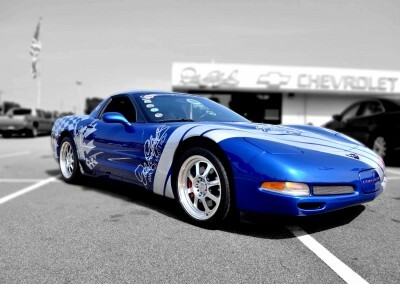 We took his 2002 Corvette and gave it a pace car look with a Dale Earnhardt twist. 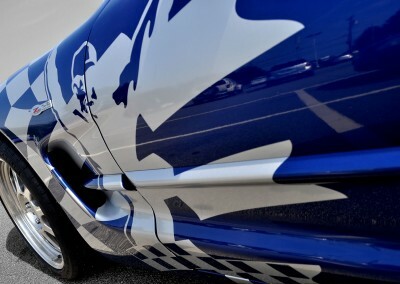 Now his car will truly stand out and be a one of a kind vehicle. 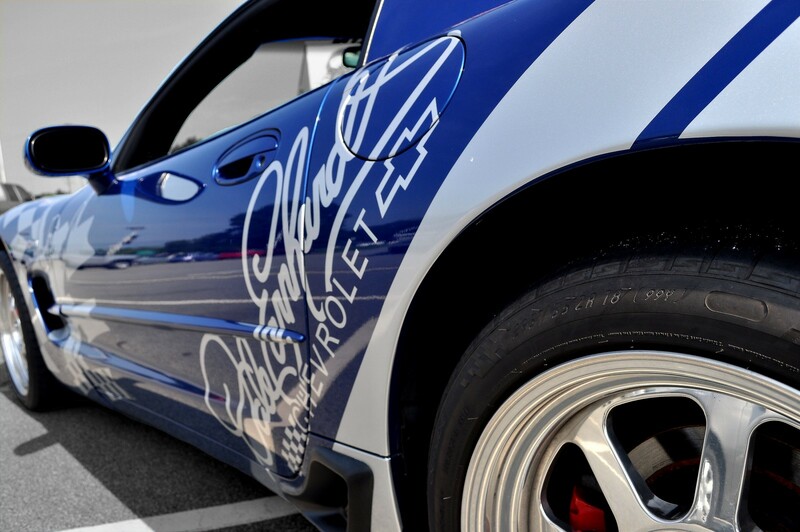 We figured since he was going to be at the front of the pack, he might as well represent the man who was always ahead of the pack, Dale Earnhardt. 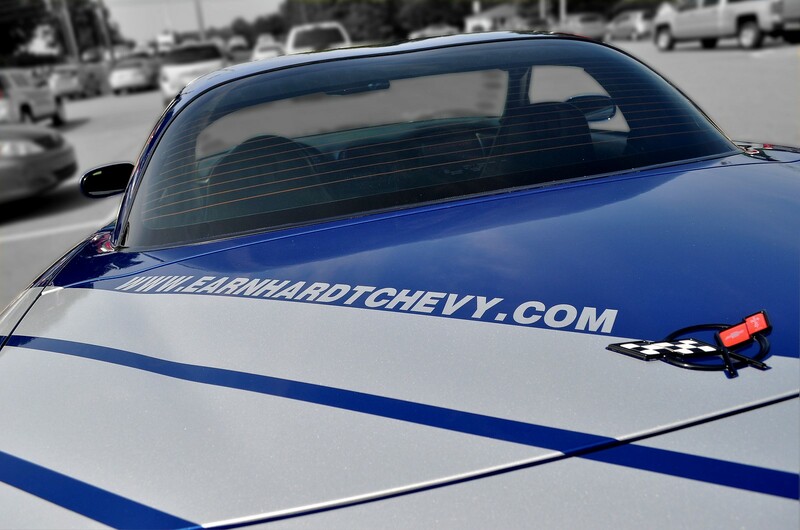 Here at Dale Earnhardt Chevrolet, we specialize in automotive customization. 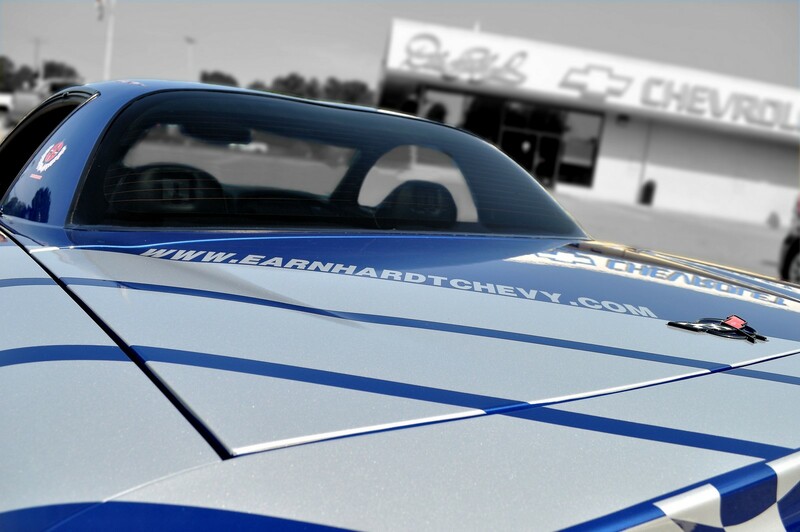 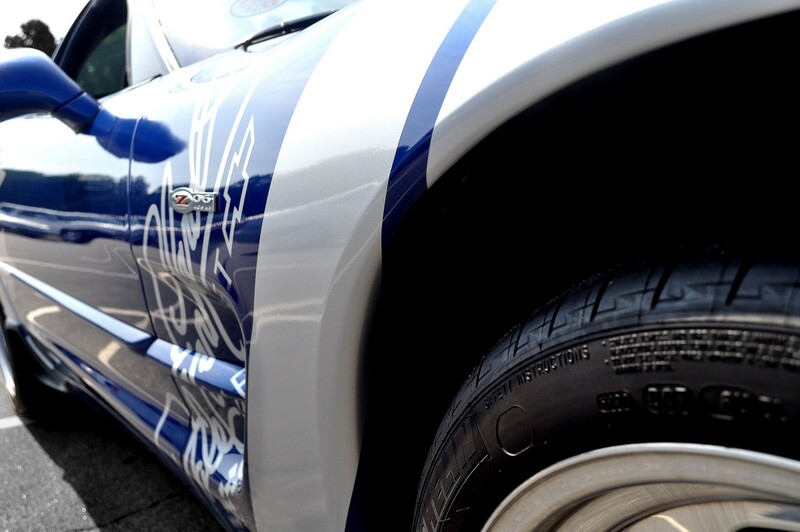 From custom bodywork, to custom paint, to performance upgrades and even interior upgrades. 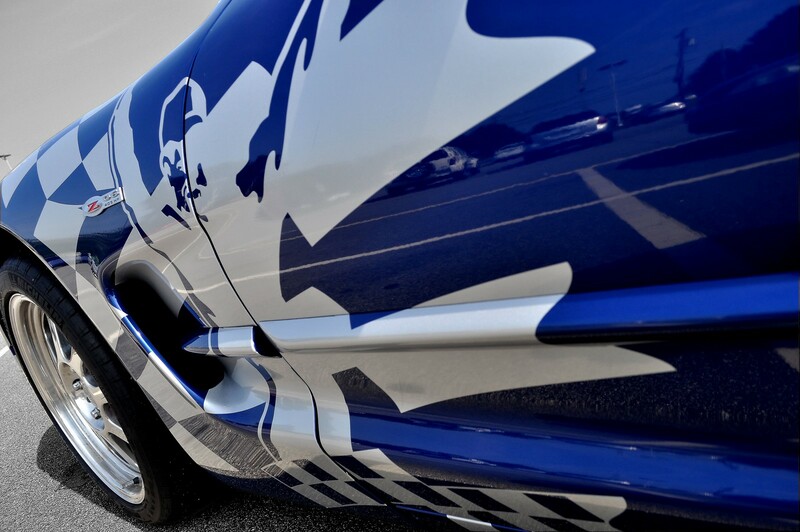 We can give your car the uniqueness and edge it needs. Just give us a call at 888.333.DALE (3253) or just contact us by email.